Bella Rosa Books, 9781622681006, 262pp. Lisa had changed, pushing away everyone close to her, even Vanessa. She had quit soccer. Started wearing dark and dismal clothes. She refused every offer to talk and suffered whatever she was going through in silence. Now she's really gone. Suicide they claim, but Vanessa knows that isn't right. It can't be. Vanessa blames herself for letting Lisa chase her off. She wants answers, so that she can put to rest the rumors surrounding Lisa's death and so that she can move on, heal. But Lisa left no note and the journal she was always scribbling in--which might tell all--is mysteriously missing. As Vanessa struggles to come to terms with the loss of her friend and to reconstruct the last months of Lisa's life, someone calling themselves "Poetic Justice" begins taking revenge against those he or she thinks drove Lisa to suicide. Everyone at school believes Vanessa is this mysterious "Poetic Justice." It's easy to blame the former best friend, and Vanessa makes an obvious target. Struggling with her own guilt, Vanessa is determined to ignore the threats and allegations aimed her way. 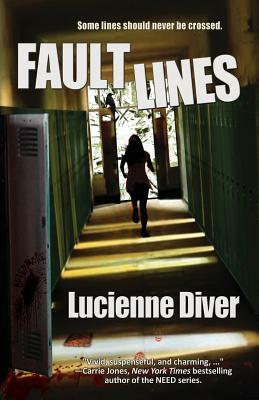 But as the Poetic Justice's vengeance takes a darker turn, retaliation against Vanessa begins to escalate, from cyber bullying to violence, putting both her and the little sister she adores in the line of fire. To protect them both, she has to find out who's behind the attacks before things turn deadly. And hope she can survive the truth.